1.3 For your peace of mind, PM PrepCast™ offers no-question 90 days FULL refund. The only condition is that you have not taken the final exam and generated the 35 Contact Hour/PDU Certificate. I used the PM PrepCast™ (a downloadable PMP® exam prep course) for the 35 PMP® Contact Hours. 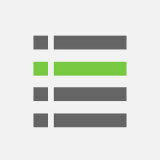 I passed the PMP® exam with “Above Target” in 4 areas. I would wholeheartedly recommend fellow PMP® aspirants to make use of PM PrepCast™. 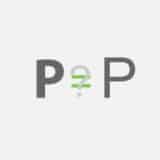 The producer of PM PrepCast™ offers PM PrepCast™ discount coupon code / gift certificate and bundle offer for PM PrepCast™ and related products from time to time. This page will be updated once the offer is available (usually at the beginning of each month). Note: If you are still considering whether PM PrepCast™ is for you, you might like to read my review on PM PrepCast™ (download PMP® Exam Prep Course) for a more informed choice. Note: You can enjoy the bundle offer for PM PrepCast™ and PM Exam Simulator and the discount for PM PrepCast™ as described below in April 2019. Or you may come back in May 2019 to learn the next PM PrepCast™ offer. Wish you PMP® success! Product: PM PrepCast™ + PM Exam Simulator Bundle for $428 $299 (original price: PM PrepCast™ — $229, PM Exam Simulator — $199) valid till 30th April 2019. You will get PM PrepCast™ for PMBOK® Guide 6th Edition (for the new PMP® Exam) + the PM Exam Simulator for the new PMP® Exam! On the PM PrepCast™ page, read the introduction or just scroll down to the order part of the page (takes a bit of time as the introduction is quite long indeed). Choose ‘PM PrepCast™ Elite‘ by clicking the orange “Select Elite” button (the middle one) to buy both PM PrepCast™ + Exam Simulator (or just click the “Add to Cart” button at the footer of the page which appears when you are mid-way through the page). Fill in your personal particulars and pay, you will receive PM PrepCast™ Elite with the discounted price in no time! This bundle is ideal for those who have just begun the PMP® exam journey. You will get the required 35 Contact Hour Certificate as well as 1800 PMP® practice exam questions (in 9 simulated PMP® exams). Wish you PMP® success! Note: The 35 Contact Hour is valid forever even in case the PMP® Exam is changing (just in case as the PMP® Exam has just been updated, will only be updated in several years’ of time according to experience). 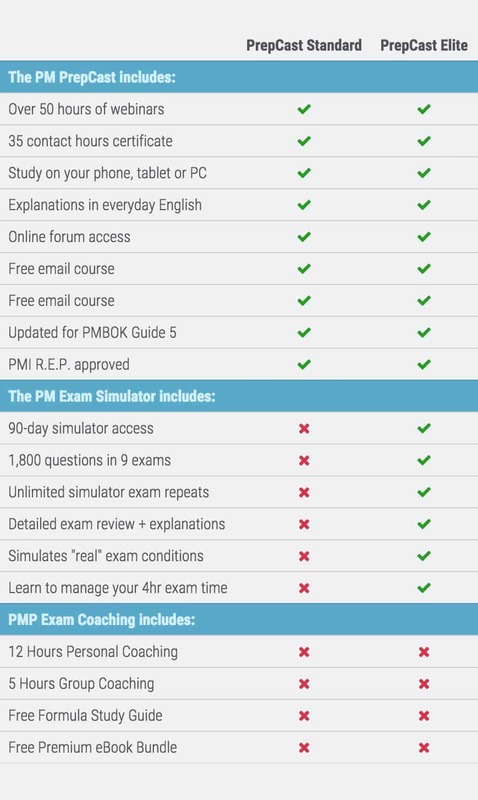 the PM Exam Simulator has an access period of 90 days which begins from the first day you access the PM Exam Simulator (NOT from the day you make the purchase). Since it usually takes around 2-3 months for most PMP® Exam candidates to finish the study and pass the exam, 90 days access is more than enough. In case you find the time not sufficient, you have the option to extend the access period by 30 days for $19.99 / 60 days for $29.99. Over 42,000 PMP® aspirants have made use of PM PrepCast™ and bundle for their PMP® Exam Prep. And I am one of those who passed the PMP® Exam on the first attempt. Click “FIND OUT MORE” orange button under PM PREPCAST box (the left one). Click the orange “ORDER NOW” button on the lower right of the page. On the order page, click ‘Buy Now‘ (in grey) to buy PM PrepCast™ only in the box of ‘PM PrepCast™ Basic’ (the left one). Confirm you really want to purchase PM PrepCast™ only. Note: You can get the 35 Contact Hour Certificate with this PM PrepCast™ Basic (valid forever even in case the PMP® Exam is changing). However, you will not get the PM Exam Simulator (1800+ PMP® Mock Exam questions) for the discounted bundle price as listed in 1 above. Over 42,000 PMP® aspirants have made use of PM PrepCast™ and I am one of those who pass the PMP® Exam on the first attempt. For your peace of mind, PM PrepCast™ offers no-question 90 days FULL refund. The only condition is that you have not taken the final exam and generated the 35 Contact Hour/PDU Certificate. I never took advantage of the refund as I am 100% satisfied with the PM PrepCast™. 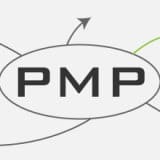 * If you find this PMP® Exam Prep product suitable and if you enjoy my PMP® articles, please consider buying it through the links on this page. I will earn a small commission (at NO extra cost to you) to sustain my website costs. Thank you! The publisher of PM PrepCast™ issues monthly “discount coupon” for PM PrepCast™ or other PMP® products. The discount coupon offer is different for each month. Do check back at the beginning of each month for the updated PM PrepCast™ coupon. PMBOK Guide Alone Enough for the PMP Exam? I just purchased the PM Prep Cast simulator using your link. Thanks for all of the great study resources! I visit your site often. You have made a wise choice. Just practise using PM Exam Simulator as often as you like as it contains tons of great mock exam questions. If you can score about 75%, you are good to go! Wish you PMP success! How Can I get the Discount for PM Exam Simulator for Feb 2019. 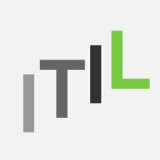 Thanks for the great resources sharing on PMI certification. I would like to know when will the PM PrepCast coupon for Jan 2019 be released? Here now! Just take advantage of the great saving! How can I access the November coupon for the Prepcast Elite package? Please help. No need to use the coupon code for this month. Thanks! Hello Edward, I’m trying to get the coupon code for AUGUST 2018; and I don’t seem to find it in your site. I’ve done the FREE week mock up exams and it seemed very useful. I already have my PDU hours as I did a bootcamp last september, but didn’t pass the test then. I think I have to review the lectures, and do more testing. Do you think it’s worth it to re-watch all the lectures? I am also trying to practice on my weak areas… Please advise and let me know if there is a coupon for Aug. 2018. Thanks in advance! Sorry, there are no coupon codes for PM PrepCast for the month of Aug 2018. You can, however, purchase the PM Exam Simulator (i.e. 8 mock exams) at a discount with coupon code (https://edward-designer.com/web/capm-exam-simulator-coupon-code/). If you have already gotten the PDUs, I would suggest the most effective way to brush up your knowledge is through trying more mock exams and understanding why you have got the answers wrong/right. After all, this would help you strengthen your ability to choose the right answers more than watching the lectures again. If you are seriously in doubt of some topics, you can ten re-watch those areas only. This would save you much time. Just my two cents. Hi Ed, I completed through reading of the pmbok guide. I am following udemy course and mock tests, but not getting more than 70% but getting 50-60%.. Now I am tensed. Shall I buy pm prepcast – Any advise? My exam is in next 9 days. Getting 50-60% in mock tests may stand a thin chance to pass the PMP Exam. But you have to consider the stress you have during the exam that may drag down your performance. Just my two cents: if I were you, I would postpone the exam and reading an extra PMP Exam prep book (more details here: https://edward-designer.com/web/pmp-study-resources-pmbok-pmp-guide-plus-practice-exams/) + working on more mock exams until you can get more than 70%. Yes, postponing the exam now will incur extra costs, but you will be much better prepared for the exam with the extra time available. Of course, it is up to you to decide. PMP Prepcast elite coupon JUN18 is not working. Can you please check. Or shall i wait for July? New coupon code added. Sorry not for PM PrepCast Elite this time. May need to wait for August, but cannot be sure if a coupon code will be provided. Is there a coupon available for PMI ACP as well? Sorry, no Agile PrepCast discount coupon code for this month. Thanks! Any coupon code for Feb 2018 please? Already shown here. Wish you PMP success! Would that be too late to start for pmp precast now before the new syllabus rolling out in q1 2018. The new PMP Exam will only be practised from 26 Mar 2018, there is still plenty of time (more than 4 months) to get well prepared for the current PMP Exam. 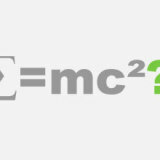 It usually takes 2 months for a beginner to pass the PMP Exam. I was initially planning for taking instructor led classroom training for PMP. But after coming across your website, I am thinking of purchasing PM Prepcast instead of classroom training. Have a question on the coupon code. Does the discount of coupon code apply on the $265 or is it after the coupon code discount that the price is $265? Taking an online course was definitely one of the best decision for my PMP Exam. I am sure you will find the same. $265 is currently the best price for the PM PrepCast + Exam simulator bundle. Appreciate all your efforts!! I am also planning to appear during 2017, please advise whether to take Aug 17 PMP PrepCast offer or wait for Sep 17? And also advise on Amazon books 4 listed above, which are mandatory to buy to clear PMP along with PMP PrepCast bundle? Thanks in advance! I would suggest purchasing the PM PrepCast asap so as to leave you enough time to go through it and clear the PMP Exam in 2017. For the Amazon books, I would highly advise the PMP book by Andy Crowe (reference: https://edward-designer.com/web/pmp-study-resources-pmbok-pmp-guide-plus-practice-exams/). Where did you see that PM Prepcast is PMI R.E.P. approved? I searched for PM Prepcast on PMI’s approved REP list, but couldn’t find them. Are they under a different name? Thanks for all this info – it’s very helpful! Yes Vanessa, the company behind PM PrepCast is OSP International LLC (https://ccrs.pmi.org/search/provider/1000002937). Thank you so much – I completely missed that! Are you a real person because from the sound of things, it seems that you are an employee of PrepCast and devoted to more on advertising PrepCast than anything else? My Intention is not to discount the apparent effectiveness of PrepCast, it is more on the side of due diligence as I don’t like getting trapped by internet gimmicks. I have absolutely NO AFFILIATION with the company of PM PrepCast. I live in Hong Kong and is currently working as a web designer (see here for my sharing on website coding, etc. : https://edward-designer.com/web/web/ ). PM PrepCast is based in the U.S. 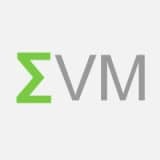 However, I must also stress that going through the PM PrepCast alone will NOT make you an instant PMP – you will likely fail the exam if you just rely on PM PrepCast. I did read the PMBOK Guide twice, read Andy Crowe book and did a lot of practice exam questions. Hope you get to know me more with the above. Do let me know if you have any further queries. Hi Edward, is there a coupon for June? If not, do you anticipate one in July? Thank you! Just the above PM PrepCast + PM Exam Simulator 2.0 bundle discount in June. Stay tuned for the July update! I would like to purchase the bundle, may I know if I need a discount coupon or not ? Or if the bundle price is already discounted ? You have made a great choice for choosing the PM PrepCast. Please note that the bundle price is already the discounted price. I am planning to go for Prepcast, I am slightly unsure about the coup benefits. Original site shows $265 (elite) too. Yes, that’s the bundle offer for PM PrepCast and PMP Exam Simulator. I highly recommend this bundle as you will get 1800+ quality mock exam questions that are proven to be very helpful for PMP Aspirants. Just updated the coupon code for the PM PrepCast Basic only. Sorry that there is no further discount for the PM PrepCast + Exam Simulator bundle. However, I still highly recommend the later as it provides the most comprehensive exam prep materials for your preparation. Thanks for the advice. 🙂 I’m gearing up for it. Any coupon for April ? Sorry, there is currently no coupon code for PM PrepCast this month. Maybe you can come back again in may for the latest code. Thanks! Any Coupon code for PM PrepCast + Exam Simulator bundle. Currently I am an MBA student and it would be really great full if you could provide me with a coupon code. Sorry not in May 2017. But you may wait for June 2017 to see whether we will have one at that time (the producer of PM PrepCast + Exam Simulator only offers a discount code for ONE of its products each month). Anyway, the PM PrepCast is a great tool for exam prep. Wish you PMP success! I tried the code “Mar17” to get the discount but it didn’t work. I copy/pasted it. It says “invalid code” Could you please tell me what to do? I have tried myself and the PM PrepCast Elite discount coupon “Mar17” can be validated. Please try again or just type the words: Mar17 into the field to try again. Please let me know if you need further assistance on applying coupon codes. Is there any discount on PM Exam Simulator? Sorry Dino, no discount coupon codes for Jan 2017. May be come back in Feb 2017 to see if the PM Exam Simulator is on discount that month. Is there any discount coupon I can use to purchase PrepCast Elite? Sorry, there is no discount coupon for PM Prepcast Elite in May 2016. Please come back in June 2016 to watch out for the new promotion coupon code. Thanks! I’m interested in PM exam simulation only. any discount? 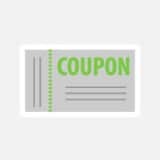 Sorry PMP, the publisher of PM Exam Simulator does not offer any discount coupon code for the month of March. Maybe you can come back on 1 Apr to look for the updated discount offer but I am not sure if that’s for PM Exam Simulator. Should I simply click on the Orange box of “Order PM Prepcast +PM Exam Simulator” above to make a order so that you could get the “commission”? Thanks a lot for your support and comment. Yes, simply click the orange box of “Order PM PrepCast +PM Exam Simulator” and at the PM PrepCast page scroll down and click “Order Now” again (sorry for asking you to click the order button again as this is mandated by PM PrepCast : P) and choose the “PM PrepCast Elite”. You will also be able to get 18% discount of the normal retail price of US$279.98. Thanks for your contribution and wishing you PMP success! Edward, I’m looking for a current discount code. I thought Dec15 was worth a shot (invalid). The Nov 15 is saying invalid even though today is Nov 30th. Now what? The coupon code should be Nov15 (without space in between). Hurry up and time is running out! Ed, any discount code for just the exam stimulator? Sorry, there is no discount coupon code for exam simulator in 2015 Sep. Maybe you can come back at the beginning of next month to check out the latest offer from PM PrepCast. Thanks! Will there be an offer for the PM prepcast and Simulator in September? Please wait one more day. The PM PrepCast discount coupon code will be updated tomorrow. Thanks! Sorry, I figured it out: I need to use “Jun15” as the coupon code. Disregard my previous reply. Hi, I’m trying to take advantage of the June 2015 discount offer. But when I go http://edward-designer.com/web/pm-prepcast-review/, I just get redirected to the PM Prepcast homepage. How do I get the discount offer? The bundle offer on PM prepcast and Simulator is not valid. Has this expired? or simply not up-to-date? My money is a bit tight do you know what March specials may be on prepcast and anything bundled? Sorry that the publisher of PM PrepCast has not provided the information to me yet. You are invited to visit this page again in March. Let’s wait and see. I see that there was a code for 10% off for March, and so it has expired. Is there a code for April, other than the discounted bundle price? I just want the PrepCast, not the bundle. Sorry that the discount coupon for PM PrepCast is valid for March 2015 only. The publisher of the PM PrepCast will give a new offer each month. This page will be updated once the new offer is received. Please come back at the beginning of next month to get the new offer. Thanks!